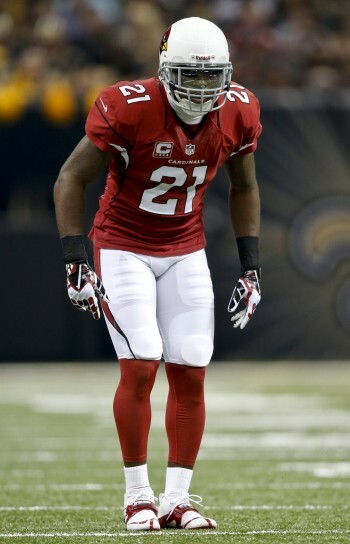 Patrick Peterson‘s been mentioned in trade rumors, ones the Cardinals have shot down. But the three-time All-Pro may be ready to leave the desert. Peterson’s asked the Cardinals to trade him by the Oct. 30 deadline, Adam Schefter of ESPN.com reports (on Twitter). The 28-year-old cornerback views the Cards as a deteriorating situation and “desperately” wants out, Schefter adds. The Cardinals have known about Peterson’s dissatisfaction for a while now, per CBS Sports’ Jason La Canfora (on Twitter), and have received plenty of calls about the corner’s availability. Peterson told the Arizona Republic recently he was still committed to the Cardinals, though adding it was difficult dealing with what looks like his fifth losing season since arriving in Arizona. Steve Wilks chimed in on the situation and said Monday the Cardinals are “not trading Patrick” (Twitter link). The first-year coach said Peterson has not approached him about a trade but added (via AZCardinals.com’s Darren Urban, on Twitter) he’ll speak to him about this today. This would place a marquee player in his prime on the trade block, and no Cardinal would fetch the kind of price Peterson would. The 2011 first-rounder has been arguably the NFL’s best cornerback this decade and looks to be destined for one of the spots on the 2010s’ all-decade team. But the Cardinals have taken a major step back this season, starting 1-6. Although they still have key cornerstones from their 2015 NFC championship game season, led by Peterson and Larry Fitzgerald, this is now a rebuilding team. They have not been to the playoffs since that 2015 slate, but under Bruce Arians the past two seasons, the team was not among one of the NFL’s worst. After a nationally televised 45-10 loss to the Broncos, they certainly are now, putting the organization to a big decision. Cardinals president Michael Bidwill said a Peterson trade is “not happening,” but now that the star defender’s request is out there, this may be a fluid process in the days leading up to the deadline. The longtime standout has two more full seasons left on his deal. The through-2020 contract, combined with Peterson’s stellar play, will drive up the price if the Cardinals decide to seriously field offers. Peterson will make $11MM in 2019 and just more than $12MM in 2020 base salary on his current deal, but he’ll obviously be eyeing an extension at some point in the near future. Contenders will certainly be coveting Peterson, with elite cornerback play among the most difficult skills to acquire in today’s NFL. But the Cardinals may still want to keep their best player and attempt to build around him in the future. Steelers could use him, not that it’s plausible. The Raiders are completely tearing it down and starting over, so they don’t make any sense. Unless you’re being sarcastic, because it’s hard to tell sometimes. Steelers can rescind Bells tag and open up more than enough cap for Peterson. After that give up a 1st+ and, yes it is plausible. Not probable, but certainly plausible. That said, Steelers have most useless corner in football (Burns), and un-intruiging Coty Sensabough as only other option. Prob worth it to just release Bell for nothing if it means trading for Peterson immediately after. The Steelers have the money to acquire Peterson. The final two years on his active contract will accumulate $11.25 and $12.55 million per season. This year, however, he’ll only take up $5,823,529 in cap space. Therefore the tag doesn’t need to be rescinded. Nah Panthers never do anything significant or exciting for their fan base. Biggest moves Carolina makes are letting guys walk or getting rid of them. Steve Smith, Josh Norman, Andrew Norwell, etc, without replacing them and still expect to win. *cough* Norman. I’m sure they prefer an AFC team, but most NFC teams will be calling. KC is where he will be! Pats would be a great fit. Yup. The need secondary help. He would also be a good fit for the Steelers, which was mentioned above. Do you have a point? Only way pats trade for Pederson is if they can get him for a 5th round pick. He won’t be traded. Owner and HC said not a chance. Join Mack in Chicago and build a dynasty! Now is the time for Gutey to trade that second first rounder. Peterson anchoring the secondary with King, Alexander and Jackson. Alford, 2nd round, 5th round for Peterson?